By virulent disease...by nuclear war...by catastrophic natural disaster. 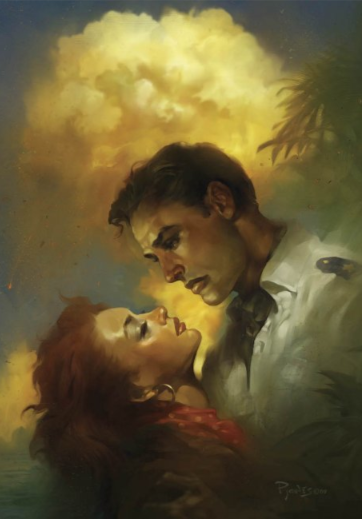 These are the breathtaking novels that envision the end of the world as we know it and incisively portray the effects on the handfuls of survivors. Each book features an original frontis illustration by renowned science-fiction artist Patrick Jones. 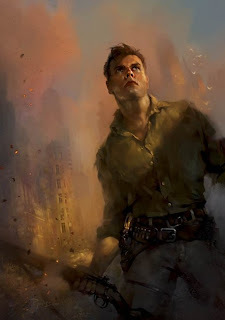 As a huge fan and collector of all things I Am Legend, I sought out artist Patrick Jones to discuss his work on that book and the others in the Day After Doomsday series. bb: How did you get involved with the Easton Press Day After Doomsday series? Patrick Jones: I had done plenty of work for them before and they knew I was crazy for SF & fantasy illustration. bb: Had you read any of the five books prior to the assignment? 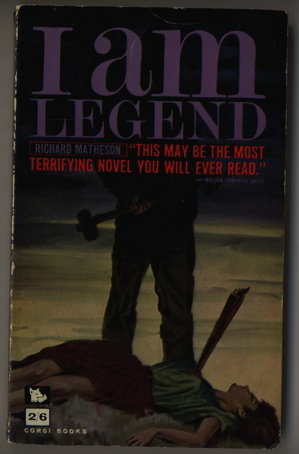 PJ: I had only read I Am Legend and was a big fan of Richard's work, especially Legend and The Shrinking Man, so that was the real thrill for me, with the other books as a bonus (I'm intrigued by tales of the last people on Earth). The other real surprise in the package was Earth Abides which was superb. There wasn't a single copy in Australia and I had to buy one from the US for $1 plus $20 postage! bb: How did you approach each illustration? Were you looking for some thematic or stylistic consistency between the pieces? PJ: I wanted the books to have that fifties feel, that sense of wonder. bb: Do you approach creating a frontispiece differently than you would a cover assignment, in that you don't carry the burden of working around the placement of extraneous or other design elements? PJ: I strangely had to fight my instincts, after years of conditioning I still leave the top third uncluttered for type to fit. Sometimes though I get liberated as in the Frankenstein piece I did for them and fill the shot. The irony here is that I would have liked some retro type on my Legend art to give it the full fifties flavor. It's crying out for it! bb: Who do you count as your major influences as an artist? PJ: Boris Vallejo and Frank Frazetta. There were many more to come but these two guys hooked me for life and still inspire me. bb: What is your process for creating an illustration? I know the final pieces were created digitally—can you elaborate on how many iterations you go through in finalizing a concept? PJ: Usually I'll read the manuscript with a highlighter at hand to mark character descriptions, then do some warm up sketches until I find a mood. 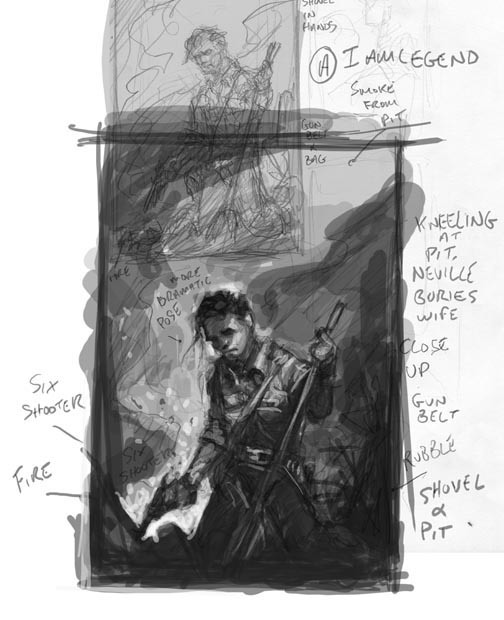 After that process I scribble down three comps with notes for the art director. When they pick a comp I'll send a tight sketch for final approval and maybe a colour rough. bb: Did any of your pieces change significantly based on editorial/art director feedback? PJ: With Easton Press I pretty much get total freedom to create, which in turn brought about some of my favorite art. I don't remember having to change anything major, or at all. bb: Do you have a favorite of the final works? 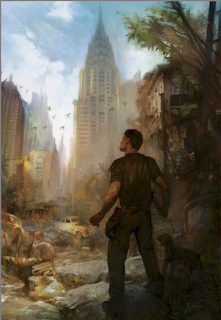 PJ: Without doubt, I Am Legend. I think it hit the mark, although the Spectrum jury voted Earth Abides as the stronger piece. 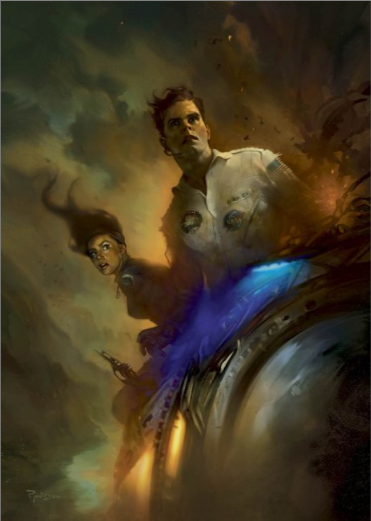 bb: What are some of your other works that sci-fi fans might be familiar with? 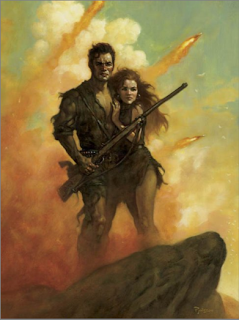 PJ: Frankenstein is popular (I know it's considered horror but it's still sf in theme), it won me world's best concept art award, Asia/Pacific region, from Massive Black, and my art on Simon Green's long running Deathstalker series got a wide release in paperback. 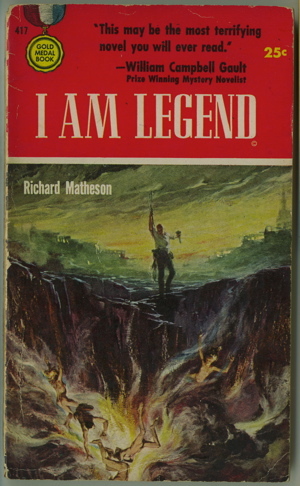 bb: Can you walk me through the specific process with the creation of the I Am Legend illustration. I'm interested in the order in which the concepts were created, and what led to the changes. It appears that you had three distinct concepts: Neville in the pit, Neville on the car, and Neville standing with the rifle. I'm also interested in the approximate size of the pieces. 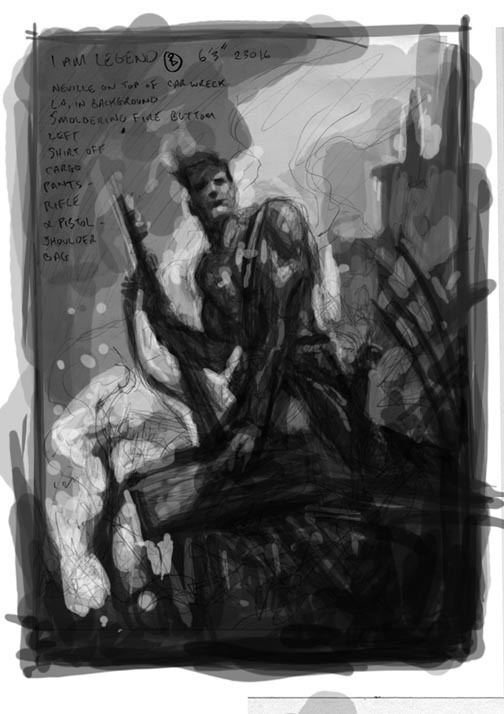 PJ: The warm up sketch is A4 and is the earliest taste of what's to come. This stage is the most changeable as the art director never sees it, it's just my first feelings when reading the script. 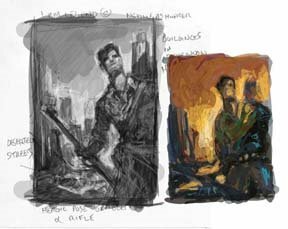 The art director comps are usually four rectangles on an A4 sheet in pencil, I then scan them and add tone on computer. If I have time enough to do the art in oils then all these stages are done with paint. My first comp focused on Neville's loneliness so the comp order started with the pit idea, then moved to a more heroic idea, having Neville use an overturned car as a vantage point, but with the same sense of loneliness. In the end I came back to my original musings showing him walking the lonely streets defiant. Luckily the art director choose that comp. 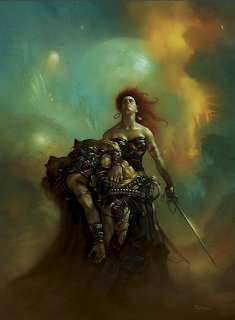 bb: With Legend, were you familiar with any of the cover art that had been used on prior versions? If so, did that influence you in any way, either inspiring you to go a certain direction or in fact avoid a particular concept? PJ: I think I first read the Corgi edition many years before with Neville standing over his wife by the pit but can't be sure, I was more aware of the Gold Medal Book art for some reason, so the pit was in my mind to begin with. 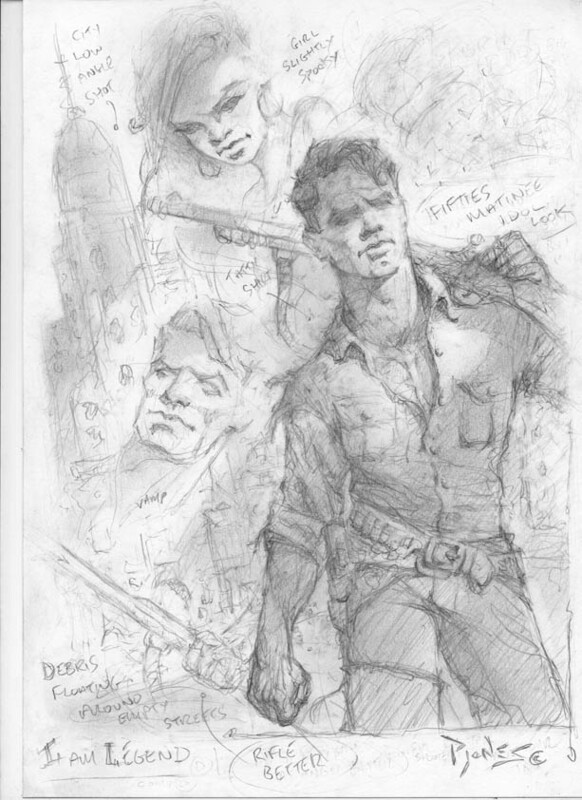 I remember the Charlton Heston movie tie in image from way back so maybe that influenced me toward the heroic (I was a huge fan of The Omega Man as a kid). bb: Do you know if Matheson has seen the piece, and if so if he had any feedback? PJ: I have no idea, it would have been a great thrill if he had done. I rarely make contact with the authors as I deal directly with an art director. To find out more about Patrick Jones and his work, I encourage you to check out his website. All five Day After Doomsday images (along with Frankenstein and many of his other works) are available in his store as signed and numbered giclees limited to 100 copies. Memoirs of a Pulp Fiend! 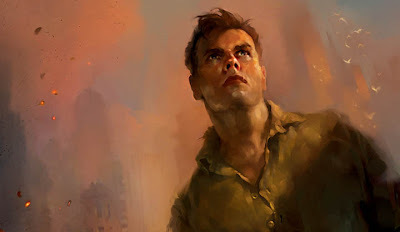 Weird Tales: So What's It All About?